If you’re planning to setup your own gaming PC, you’re in for a ride. Not only is it tedious due to the fact that you have tons of options to choose from, it can also be overwhelming. Deciding which features you need is often no longer the question because if you buy any new PC processor nowadays, they can already pretty much do the same thing. The question now is which one delivers what you need with cherries on top. Despite it being potentially tedious, being able to customize your PC is one of the reasons why a lot of people choose it over just buying a gaming laptop. Now, the processor is where a lot of the magic happens. Every process being performed by your computer, every application you run, and every system instruction – they all go through the processor. The ‘bigger’ your process is, the better processor you need. In this regard, AMD and Intel are still pretty much going head-to-head against each other. Before you dip your toes, though, there are a few more things you must consider. First, you must determine what you’ll be using the computer for. Are you a heavy gamer who likes to setup everything from your gaming desk down to every last detail of your gaming room? Perhaps you like to stream your gameplay? Do you do a lot of 3D rendering, or perhaps you edit and convert videos? The things you will be using your PC for are the things that will determine just how much of a powerful processor you need. If you think you’re just starting out as a PC gamer and would like to take things slow, getting a Tier 1 CPU might not be the most practical choice for you right now. Likewise, if you’re a veteran gamer and are looking to keep up with the latest game releases, you better get rid of your Tier 4 CPU. Overclocking is also another thing to consider before picking out your processor. What you do with overclocking is basically just go beyond your CPUs target maximum speed. This tremendously boosts your PC’s performance. If you’re a beginner, this might not be a point of consideration, but if you already know your way around your PC, then you might enjoy the benefits that come with overclocking. With that said, there are CPUs that allow overclocking, but for some – especially for Intel units before the K-series – this is not possible. Once you have considered these things, the next step is to familiarize yourself with the CPU tiers and what they are best for. Take a look at the chart below to see which rig impresses you the most. These processors belong to this tier for very specific reasons. For one, you really can’t find anything quite more powerful than them. Just looking at the core count, you’ll immediately know what we mean. Before you buy one of these, though, it’s important to note that this is well beyond the gaming PC standards. These processors are more tailor-fit to be used in servers. They’re great for gaming, but it’s going to be a bit of an overkill and you will not be able to use them to their full potential if you only use them for gaming. It might be a good means of planning ahead, for when games become much more demanding, but again, it’d be a bit of a waste. AMD’s Threadripper processors easily win out against Intel’s i9 line, especially when it comes to multithreaded applications. 3D rendering and video conversion run smoothly and with the Game Mode, you get a completely enhanced gaming experience. That’s not to say that i9 doesn’t have a lot to offer, too. AMD may have a better base clock, but i9 pushes the boundaries with its greater overclock speed. The Threadripper series gave Intel a run for their money, which was the reason why they came up with the i9 processors. Points for AMD for being the trailblazer and setting up the bar for this category. 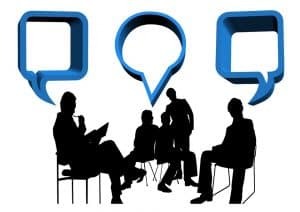 While Tier 1 processors offer users the freedom to multitask and perform processes beyond high-end games, Tier 2 processors offer what some would call a more practical and cost-friendly common ground between performance and accessibility. They’re great for 4K visuals in the newest PC games but also offer some extras, if you’re a multi-tasking gamer. They also utilize the more mainstream sockets: the AM4 for AMD and LGA 1151 for Intel processors. In this Tier, you’ll see both the Ryzen 7 and the i7 models taking the lead. The i7 processors shine the brightest in single-core applications, while the Ryzen 7 does its job best with multi-core processes. If you’re planning on not just gaming, but also maybe have some room for things like streaming and video conversion, you’ll find that CPUs in this Tier will be more than enough to handle those needs. They will more than suffice without the need for you to break the bank. We know that most people who are planning on a PC upgrade are usually gamers who just want to keep up with gaming trends, such as 4K graphics. We also know that not all gamers are fond of the extra bells and whistles that come with Tiers 1 & 2. Some gamers really just want to play games, period. If you’re looking to upgrade your PC solely just to enjoy the latest games, and if you don’t want all of the extra features, then Tier 3 processors may be the right choice for you. Packed with all of the improvements almost at par with Tier 2 CPUs, processors in the third tier will surely meet your gaming needs. Of course, you might consider buying equipment to complement your new setup. After all, if you truly want to experience 4K, you’d need a powerful gaming monitor. These are by far the top favorite among gamers. You can still definitely enjoy playing games on high to ultra game settings and still use the PC for other purposes. Of course, you cannot rely on these processors to perform multiple demanding tasks at once, but they are reliable nonetheless. In the fourth tier of processors, you’ll see a list of CPUs that are great for when you’re just starting out your gaming journey with the PC. We know some people might have some hesitation when it comes to committing to a gaming rig. You may not be able to play the newer, highly demanding games but they’re a great alternative for when you haven’t made up your mind about a full-on gaming PC build. In this tier, you may need to get yourself some other parts to complement your setup, such as a Tier 3 graphics card. This will somehow compensate what’s lacking in your processor. With this, you’ll be able to play up to high settings on not-so-new games. 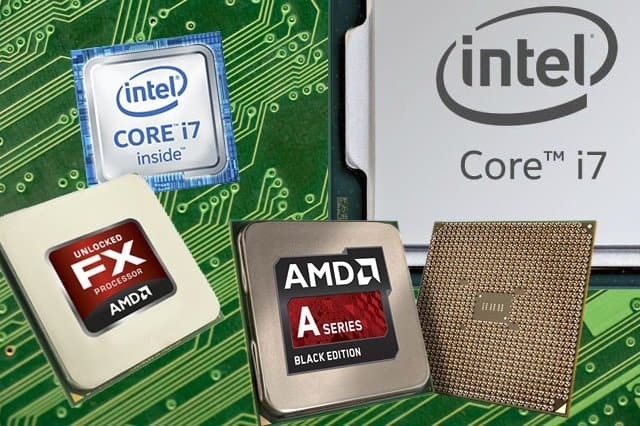 Finally, the Tier 5 list of CPUs is composed of those that purely offer the basics. You can play older games on these with no problems but you might have to cross out plans for playing newer games. The primary purpose of the CPUS on this list is merely to just provide something a little bit more than just the bare necessities of a PC. When paired with a more-than-decent graphics card, you might be able to increase the range of your gaming experience. These are great options for users who are on a budget and don’t really place a modern gaming experience at a high priority. They are viable enough for games but have a lot of limitations. Deciding on which processor to choose for your gaming setup is a challenge when you don’t know what it is you need is a really gruesome pursuit. With this list and simple comparison, we hope you’ve managed to determine what you require out of your PC setup and consequently be able to pick the one that suits those needs. 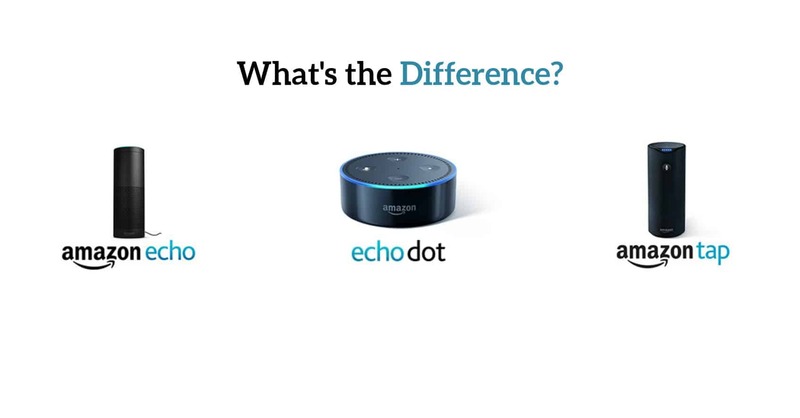 Amazon Echo vs. Echo Dot vs. Tap: Which One Should You Buy? Laser vs. Optical LED Mouse: What’s the Difference? 60 EXPERTS SHARE THE TOP IOT TRENDS OF 2018. MUST READ!! How Smart Home Will Take Over The World- 43 Stats & Facts!